jónsi, kjartan sveinsson and alex somers will be taking part in the people festival in berlin on the 18th and 19th of august. update: july 23rd. jónsi wont be performing at people festival. kjartan sveinsson and alex somers are still performing. we’re putting on a weekend full of music together, inviting our friends from along the way. it’s about new material, collaborations, unique arrangements and dissolving borders. 160 artists performing across 8 stages and studios at the historic funkhaus in berlin on august 18th/19th. all artists meet one week prior to rehearse and create new ideas and perform them for the first time with the audience. 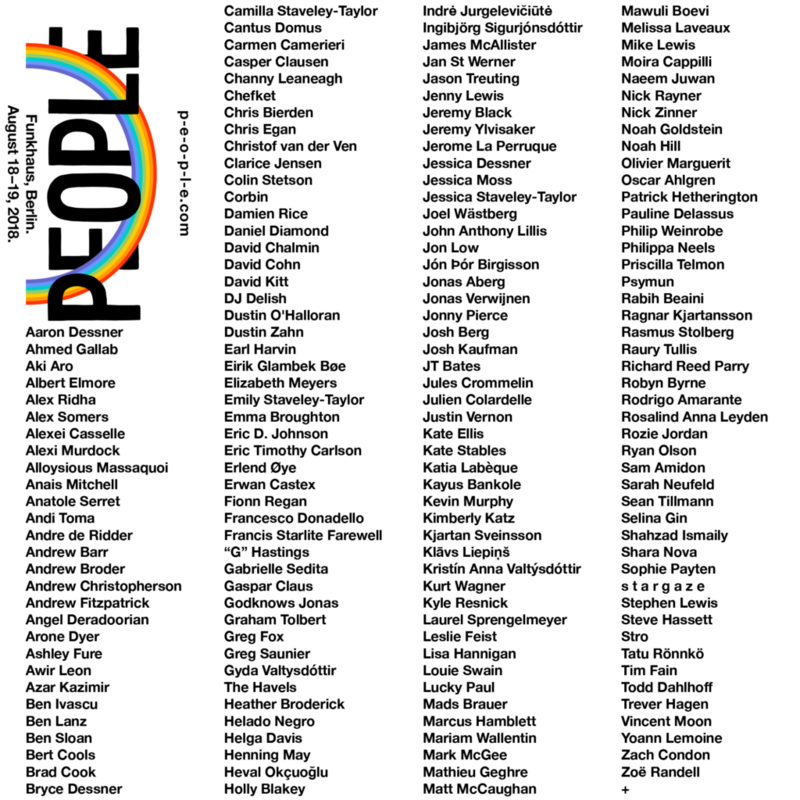 people is a steadily growing group of artists, making and sharing their work. people is non-hierarchical. it is put together by the artists with full freedom. there’ll be no sponsors or brands. no artist fees. 100% of the ticket costs go towards the production.